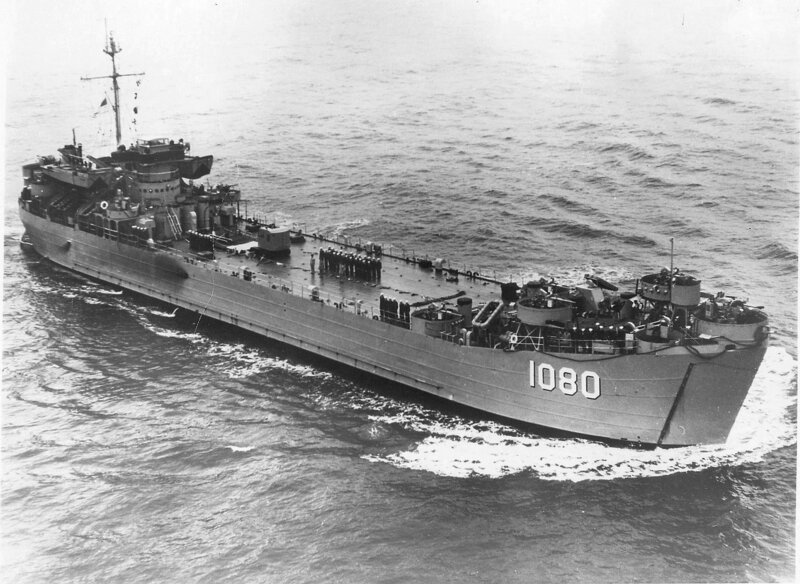 Laid down, 5 April 1945, at Bethlehem-Hingham Shipyard, Inc., Hingham, MA. 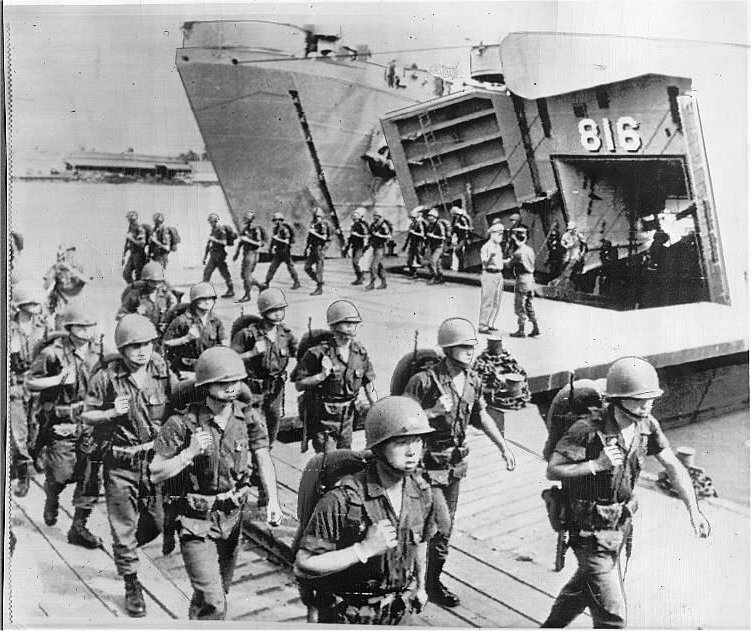 126k South Korean troops disembark from ROKS Hwa San (LST-816), ex-USS Pender County (LST-1080) on their arrival at Saigon, 26 February 1965. They were the first of a 2000-man detachment sent to South Vietnam for non-combat duty in the war against the Communist Viet Cong, making South Korean the first country to commit a large body of troops to the conflict.